There aren’t many details as to how tacos originated but according to the Real Academia Espanola, the publisher of Diccionario de la Lengua Espanola. Tacos are best described as a Mexican dish using a maize tortilla folded at the middle. Some other words for Tacos are wedge, wad and ramrod. 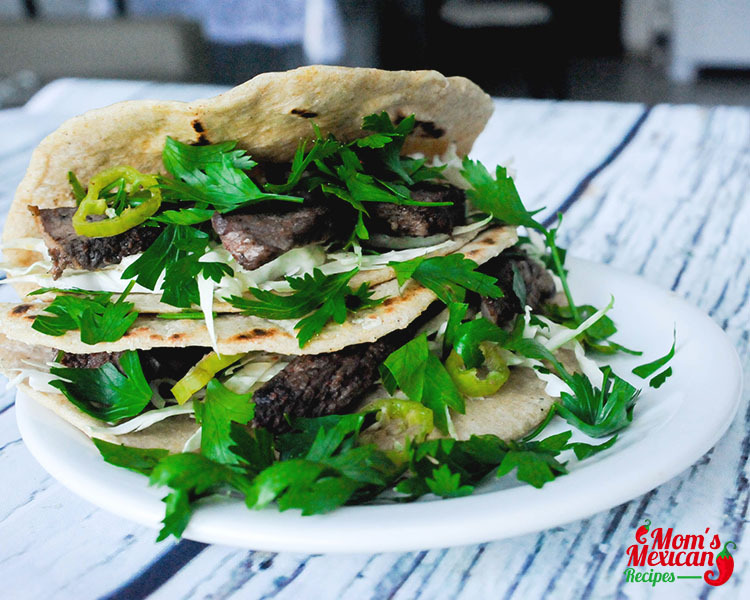 They also claim that another culinary term from which taco came from is a Nahuatl word “Tlahco” or “Half“, meaning in the middle because the filling is to be put in the middle of the tortilla. 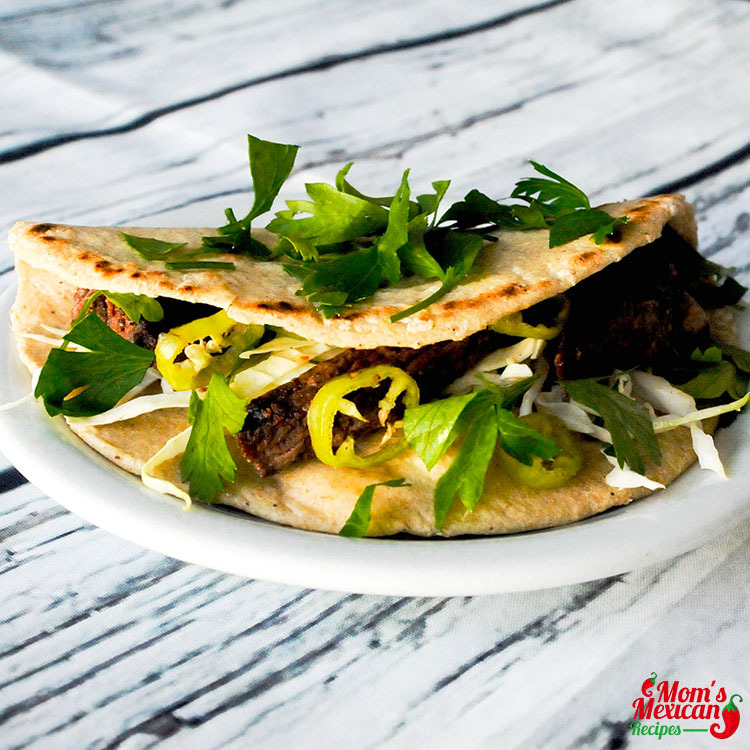 This is the same way to prepare the Slow Cooker Skirt Steak Tacos Recipe. Mix the minced garlic, cumin, salt, oregano, pepper, granulated onion in a small bowl, add the skirt steak and shake to combine. Refrigerate for minimum 8 hours (better overnight). Please sliced onion in the bottom of the slow cooker. Transfer the flank steak on top of onion. Add in the top 3 tablespoons of olive oil and ½ cup of water. Cook over low heat for 6-9 hours. 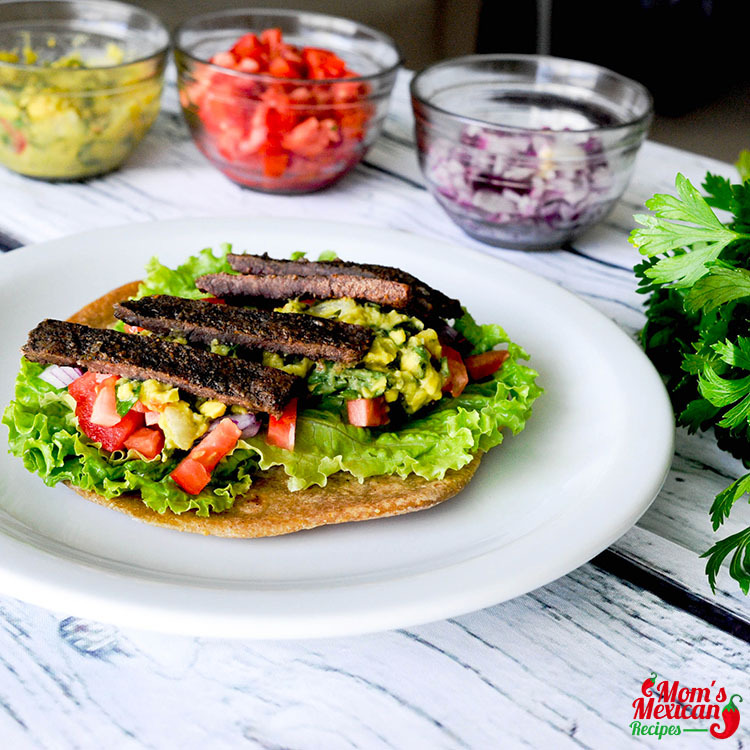 Serve with Guacamole, tomatoes, red onion, jalapeno, cilantro and green leaf in Corn Tortillas. 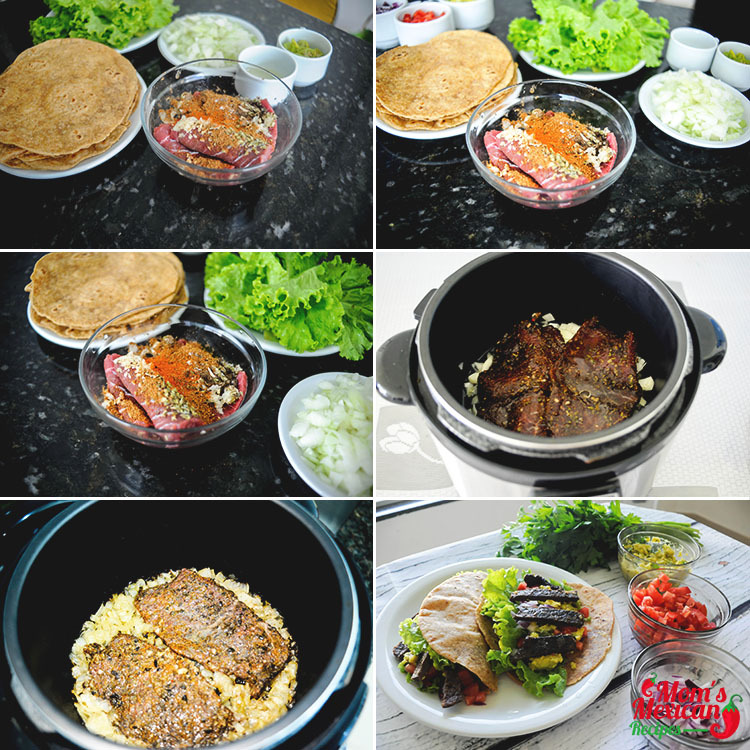 Since this Slow Cooker Skirt Steak Tacos Recipe will quickly become a favorite, master the steps to doing it. First, make sure that you get all the freshest and most natural ingredients that you could get your hands on to make sure you’re cooking a wonderful dish for you loved ones. Prepare all the ingredients by slicing, dicing and chopping and make sure that all the spices are present because it adds a good kick to your dish. Don’t forget to season well and set the timer to cook and all that’s left for you is to do is wait until it is ready to serve along with some accompaniments to make the gathering special. Tacos are best eaten using your hands and this is how most people do it. The Traditional Mexican Tacos uses Corn or wheat Tortilla that is folded at the middle with a generous amount of fillings. 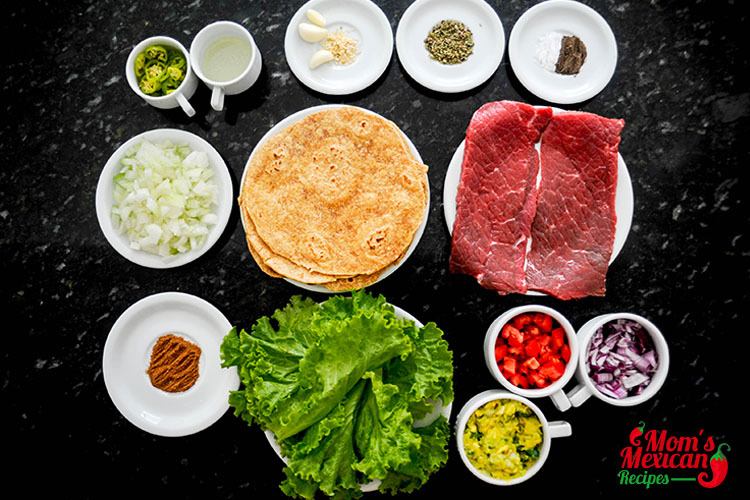 There are a lot of fillings to use in making a Tacos. Some use chicken, pork and even seafood (Shrimp Tacos) and they garnish it with different herbs, salsas, avocado and other leafy greens. 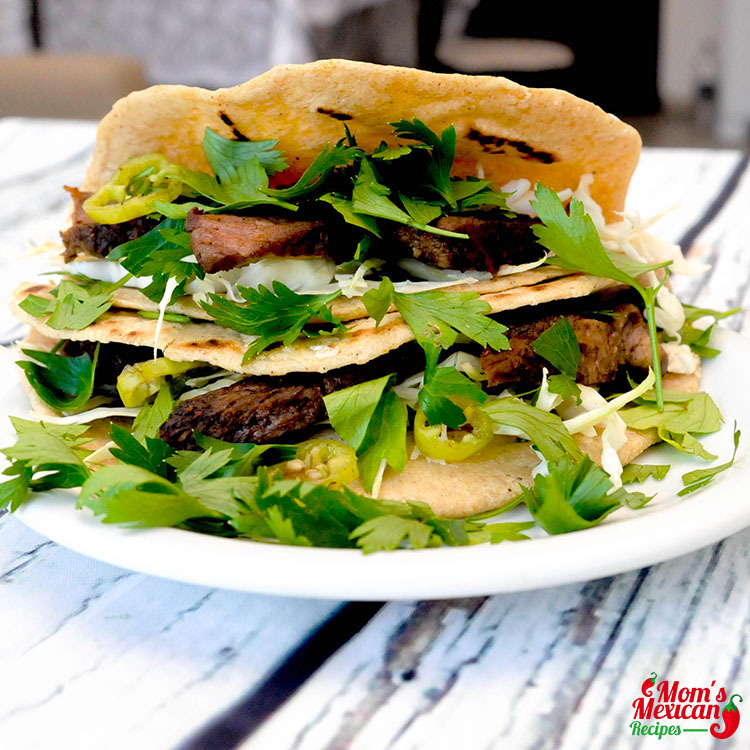 This Slow Cooker Skirt Steak Tacos Recipe is perfect for a Sunday brunch and gets together with high school friends. Pair it with Lemonade and top it with sour cream for a wonderful flavor burst. Don’t Forget to share your thoughts and ideas about the recipe by leaving some comments below. Thank You!